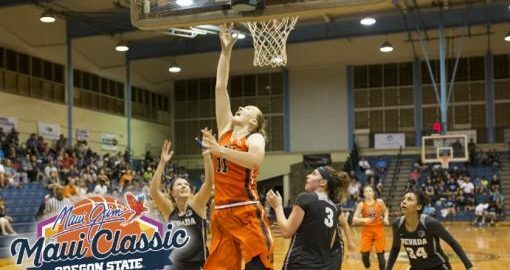 The 3rd annual Maui Jim Maui Classic, a Women’s NCAA Division I College Basketball Tournament is proud to host some of the nation’s best collegiate teams. The tournamen is slated to be bigger than ever and is expected to surpass the 2000 people that attended last year. Spread outover two days, the tournament will have two games per day with a crowned winner at the end of day 2. Reaching beyond the game of basketball, the visiting athletes will also visit elementary schools across Maui to emphasize the important role academics play in athletics. Teams in attendance include: #8 Oregon State. Joining Oregon State, #11 Texas A&M, Eastern Washington and University of California Riverside. When: Friday and Saturday December 14th and 15th with games at 5:30pm and 7:30pm each day. Where: Lahaina Civic Center. Tickets can be purchased at www.basketballmaui.com. Maui is home to many unique wonders that most don’t know about. Tucked away on the rolling hills of Olinda is the Maui Bird Conservation Center (MBCC). MBCC is a non-public facility that focuses on captive breeding and reintroduction of endangered Hawaiian birds, so now is your exclusive chance to come encounter and learn all about these native birds! I’ve been there myself personally through a volunteer community service project and to experience the work they are doing at the conservatory is truly amazing. Activities will include: presentations, keiki activities, and a guided tour of the birds, aviaries and grounds.Tours of the facility will be given on a first-come, first-serve basis. When: Saturday and Sunday, December 1st and 2nd from 7:30am to 2:00pm. Please email the MBCC team at mbccopenhouse@gmail.com with any questions! Share the joy of Christmas Upcountry on a cool, starry night filled with fun and holiday cheer at the Pukalani Community Association Christmas Fair & Electric Golf Cart Parade! Festivities include: children’s activities, craft fair, food, hot chocolate & other beverages, Electric Golf Cart Parade, live music, and a special visit by Santa. 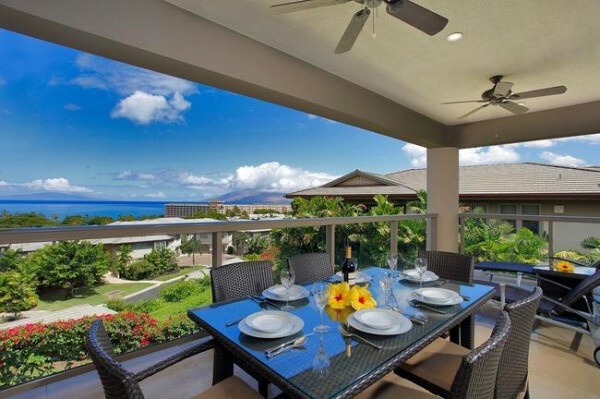 Plus, for the adults, a Beer Garden by Pukalani Country Club Restaurant! Bringing your own blankets and chairs are encouraged! When: Saurday, December 15th from 3:00pm to 7:oopm. Where: Pukalani Country Club. Tickets are sold at the event. $2 per Adult. Children under 12 are free! Discover art in many forms…be it beer, food, or art! Join the Lahaina Arts Society for Art Hop at Maui Brewing in Kihei as they welcome 20+ local Maui artists offering the finest locally made products in pottery, paintings, photos, woodworking, jewelry and more! Food, adult beverages, and soft drinks will be available for purchase and perfectly complimented by live music. When: Saturday, December 15th from 11:00am to 5:oopm. Where: Maui Brewing in Kihei. To kick off the last month of the year, enjoy a wonderful start to the Holiday season with Maui hula hālau, Pāʻū O Hiʻiaka, at their annual holiday fundraiser, Lei of Aloha 2018. Attendees will be treated to a special tour of the Old Wailuku Inn at Ulupono, browsing time with vendors offering unique gift items you can purchase, hula, and live music by Kūikawā, Nā Wai ʻEhā, and Ahumanu. Tickets are $40 and available from any hālau member or by calling Sally @ 808-264-1820. When: Saturday, December 1st from 1:00pm to 4:00pm. Where: the Old Wailuku Inn. Living Wreath Making with Native Plants hosted by the Maui Nui Botanical Garden is an excellent opportunity to learn about some of Hawaii’s native plants. They provide more than just food and habitat for wildlife: they also provide great beauty all year long. Learn to make a living wreath from Native Hawaiian Plants in time for the Holidays with MNBG Executive Director, Tamara Sherrill. When: Saturday, December, 1st from 9:00am to 12:00pm. Where: Maui Nui Botanical Garden. Cost: $50, or $25 for current garden members. Call 249-2798 or email info@mnbg.org for reservations. The Maui Arts & Cultural Center is proud to present their Ho‘onanea Holiday Concert headlined by Amy Hānaialiʻi & Willie K. In addition to the live music, concert goers will get special access to a host of local craft vendors. Highly regarded among the Maui community and beyond, Amy Hanaiali‘i and Willie Kahaiali‘i when performing together are a dynamic duo of Hawaiian music and song. The range and power of each of these performers can fill a stage; together, they present a Hawaiian musical powerhouse of talent. When: Saturday, December 15th with festivities beginning at 5:30pm. Where: Castle Theater at Maui Arts & Cultural Center. Cost: $35, $45, $55, $65 (plus applicable fees) 10% discount for MACC members and kids 12 & under half-price.